This book is for the busy person but who would still like the feeling of the dark frightening them for the evening. 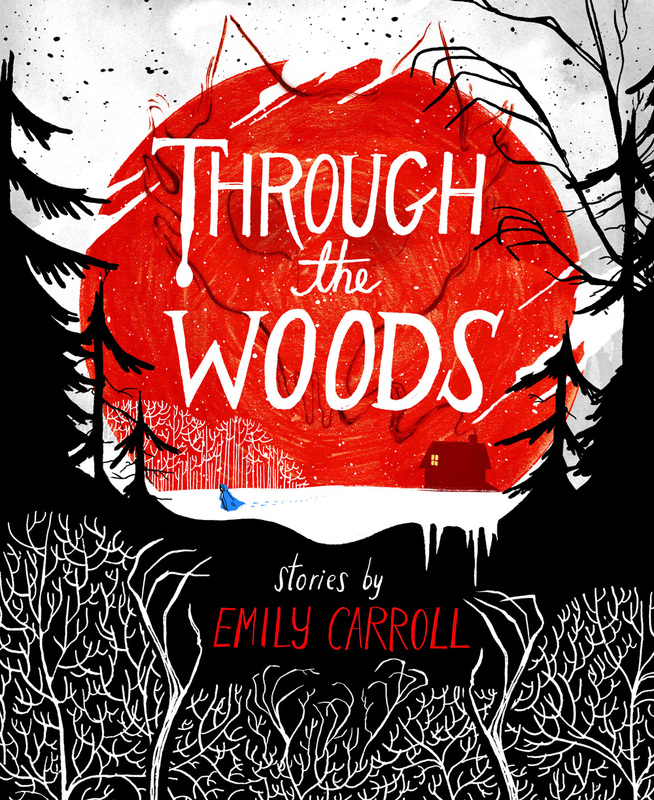 Through the Woods is an amazing graphic novel written by Canadian, Emily Carrol. The stories have a fairy tale theme to them, but take the stories to a dark conclusion that will leave you feeling that the dark is closing all around you and you don’t want to venture out into the wilderness on your own. Add to these stories an element of brilliant art work with a great use of color and you have a series of stories that are fin to read, will leave you thinking about the ending, and give you the creeps that a good Halloween story should. This is a book that should be on everybody’s shelf. It is on mine, and I know I enjoy pulling it out every once in a while to enjoy the stories that it hold because they are fun and thoughtful. Nice review! I also enjoyed the book this season (https://leviathanbound.wordpress.com/2016/10/28/through-the-woods/).